There is nothing quite like the bond between a horse and its owner. Koefran understands this unique relationship and will honor that bond with the utmost care and compassion. We believe pets are an extension of the family and, with that in consideration, we provide sensitive equine memorial services. A private cremation gives you the peace of mind that the cremated remains you receive back will be of only your special friend. Our caring services will begin with the removal and transportation of your horse to our facilities. Your horse’s body, in its entirety, will be placed respectfully in the cremation chamber. Private cremation services include a pine wood urn and a memorial card. 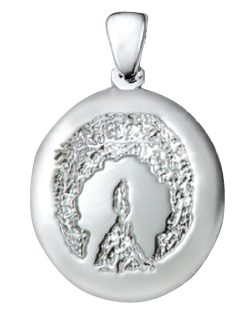 Many horse lovers choose to keep a memento of their special companion as a positive reminder of the love they shared. We offer jewelry and keepsake urns, as well as custom mementos—including a photo blanket and a custom print of your horse’s hoof.